Booth 4: Cowabunga-- It's the 80's! 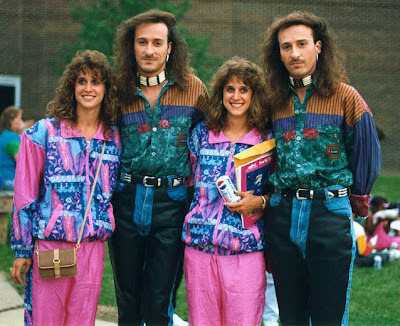 Don't you just love the 80's--Big Hair, Shoulder Pads, Leg Warmers, Members Only Jackets and Acid Wash Jeans! Well the Milledgeville Main Street gang is bringing the 80's back at their First Friday Event this Friday, February 1st. 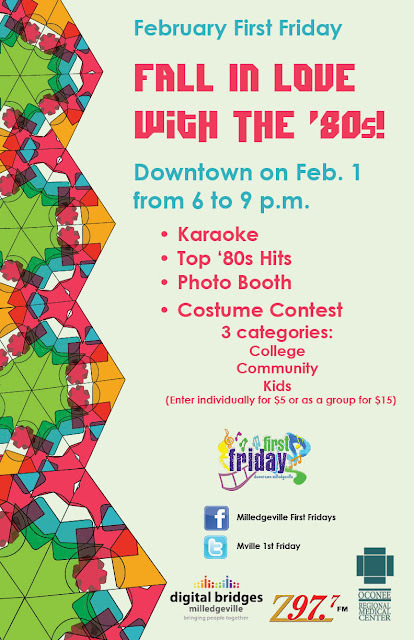 There will be lots of fun 80's themed activities going on downtown so dig back in your closet-- or better yet stop by OCT and pick up some great 80's retro attire to wear downtown and be sure and come out---you don't want to miss it! Speaking of Retro--OCT has a great selection of retro vinyl. To get you in the 80's mood we are featuring one of our faves--The J. Geils Band. The Band formed in 1967 but continued performing well into the 80's. 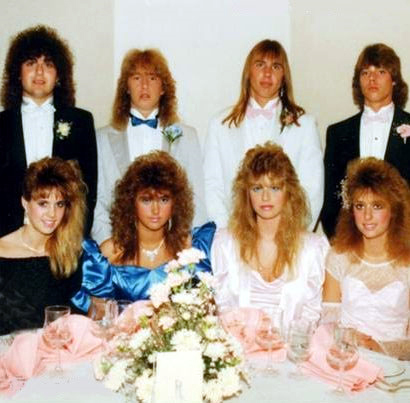 Some of their better known songs like "Freeze Frame" and "Centerfold" were big hits in the 80's. Come pick up your favorite 80's music in true retro style--vinyl LP's at OCT!